Celebrating the opening of the new Hario Cafe Pluit, we had the opportunity to join the Grand Opening event on 12 May 2018 and we have to say we really had so much fun! Before I start with the event, let's talk about the brand first. I am sure coffee lovers probably are familiar about this brand, but in case you didn't know, Hario is a leader of manual brew equipment from Japan that was founded in 1921, and is known for its heatproof glass that is able to withstand high heat and acid. 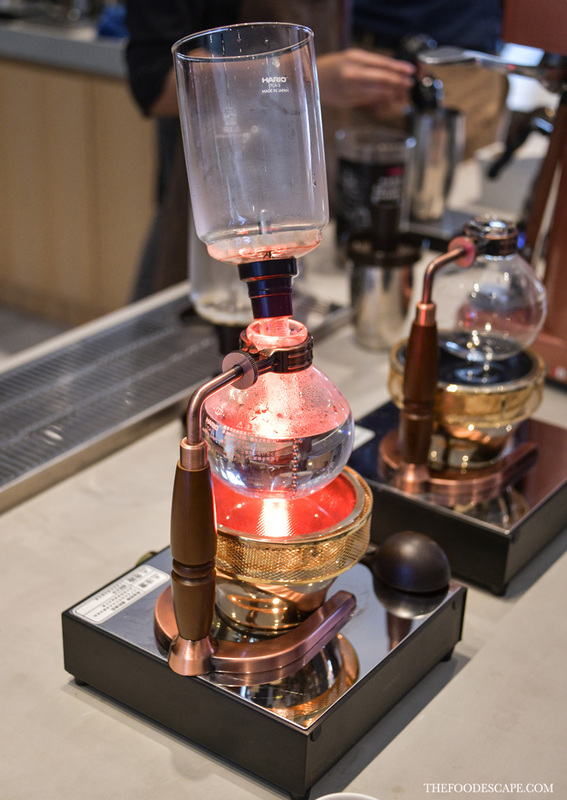 The name HARIO itself is derived from the King of Glass (HARIO), so it explains a lot about what they do. 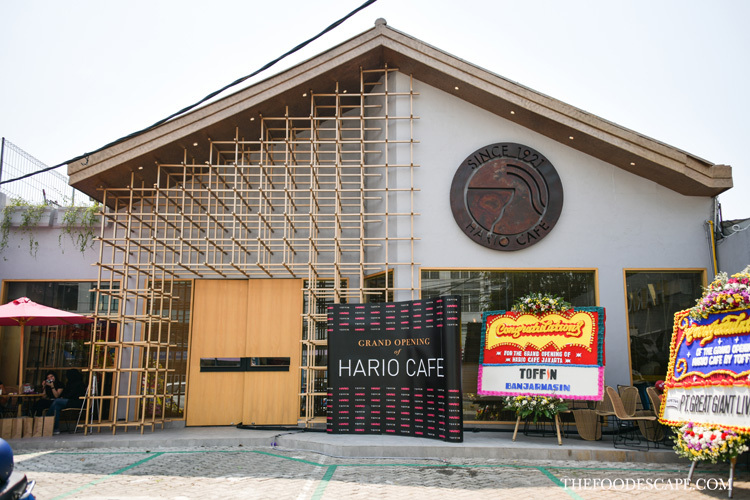 Hario Cafe Pluit is the second outlet after the first one in Tokyo, Japan. Located on Pluit Permai Raya just behind Pluit Village Mall, the store occupies quite a spacious building with parking space, a perfect spot for spending your time. If you have ever visited Hario Coffee Factory in AEON Mall BSD, both outlets are actually under the same management of Toffin Indonesia, who is also the official distributor of Hario products in Indonesia. Stepping inside, the ambience of sleek and clean welcomed us and we instantly fell in love to the warm colors and simple decor. 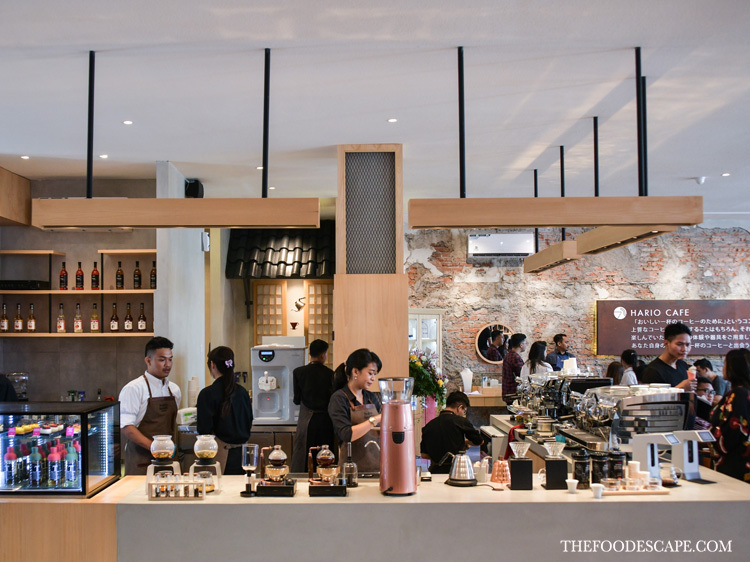 There is long counter in the middle of the room, where you can witness the process of coffee making, enjoy the colorful view of the cakes of the day, or just admire the equipment, LOL. The cafe was literally full of people that day so the mood was very bright and festive, I guess we all were so excited for the opening event!